We kiss with them, we sip with them, we angle them with finesse to create coy little smiles -- they're one of the sexiest parts of the body, and paired with the right gloss, balm, stick or stain, can make an onlooker weak at the knees. We want it all when it comes to beauty products for the lips: color, shine, staying power, plumpness and an affordable price. The good news is we can have it all. There are a ton of lip products out there, but there's nothing classier or more seductive than the market's best lipsticks. Total Beauty's fearless readers have tried and tested the lot. 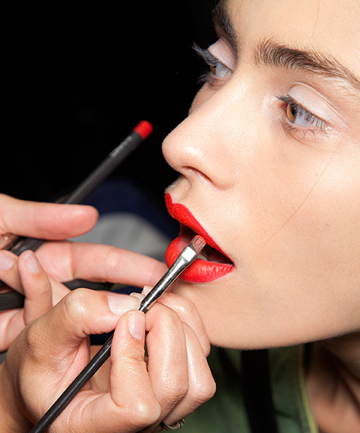 Prepare yourself for these, dare we say, life-changing lipsticks. We've got 'em all, from drugstore steals to the recherché. A really helpful article (with a great comments section), thanks! I'm slowly working my way up to wearing lipstick (still sticking with tinted lip balms right now), so these are great suggestions for what to use next. Do love Chanel, Neutrogena, and Estee Lauder especially. Nice list here! I like Chanel Lipstick! this is one is perfect for me and I tried some of their lipstick products before and really like the result. What? No Wet N Wild? That's my favorite! Way better than the expensive brands. I don't care what anyone says! This article got me to try Maybelline Color Sensational lipstick which has worked great for me, so it rates a 10. I bought one NYX lipstick and I'm hooked. They have a beautiful range of colors, the color is creamy but stays for hours, and the price is perfect. I have already purchased more colors and am never leaving this line!! !